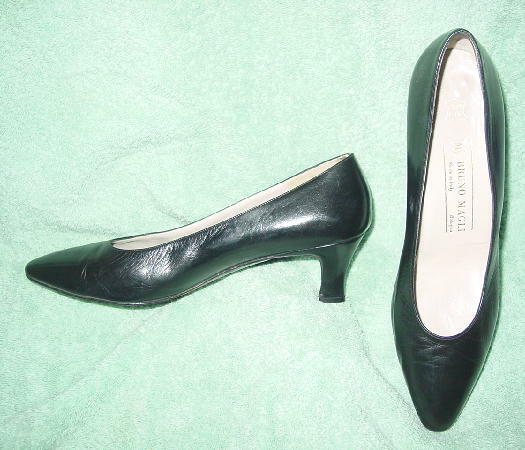 These black leather pumps are by Bruno Magli and were made in Italy. 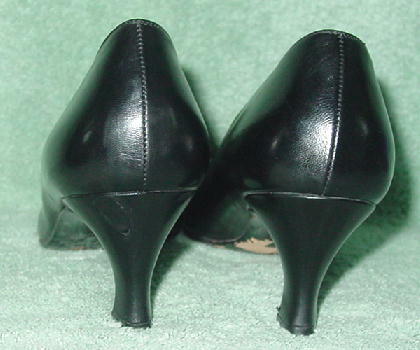 They have modified pointed toes and bone color leather linings and insoles. The leather is soft and has some natural wrinkles to it. 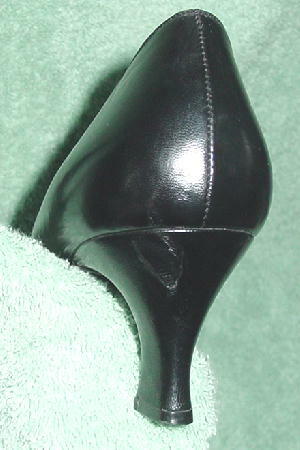 The shoes have some scuff marks and the left heel has a large scrape mark. They're from a former New York model who wore them all the time. She scraped the heel the second time she wore them, but still continued to wear them. She sold them because she now wears a 10 B after having two children.